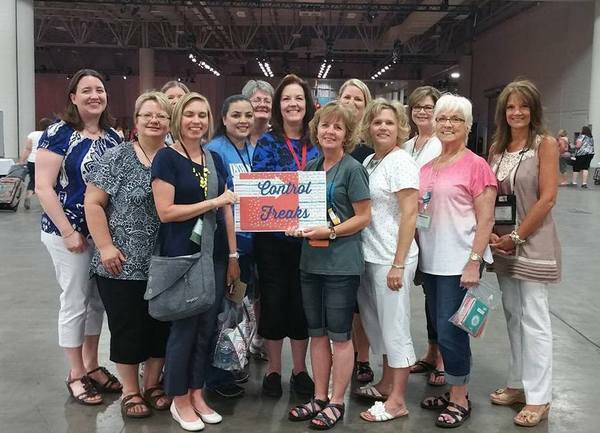 Whether you are coming from Connie Babbert's Inkspired Treasures blog or just joining us -- welcome to the July 2015 Control Freaks Blog Tour! 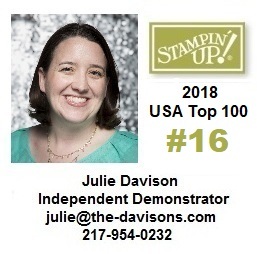 I just returned home from the Stampin' Up! Convention. One of my favorite things to do at Stampin' Up! events is to swap card ideas with other demonstrators. This year, the ONLY swaps I made were for my Control Freaks friends! On this month's tour, we are sharing the cards that we swapped with the each other. I hope that you enjoy the tour and are inspired by what you see! I used the new Birthday Blossoms stamp set for my first card. I love this layout and have used it over and over again with different stamp sets and different color combinations. It is one of the layouts that I featured in my first Pocket Full of Sketches book. (Watch for Volume 2 of my popular card layout book to be released in August!) I really love the way the bright colors (Watermelon Wonder, Crushed Curry, and Cucumber Crush) pop against the black! Can you spot the difference? It's subtle. I "stepped up" my swap card a little by using the Fluttering Embossing Folder on the Tangelo Twist cardstock and adding a layer of Basic Black cardstock. 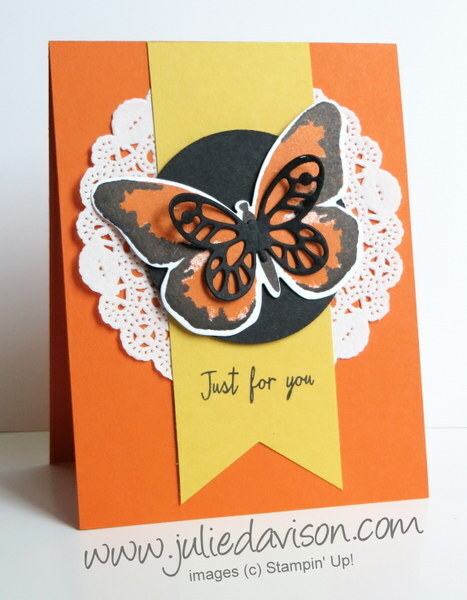 I also stamped the butterfly a little differently to incorporate the Hello Honey color in the stamped image. That's all I have for you today! Here's a sneak peek of the inside of another card from my Stamp of the Month Club kit. I'll be posting a video tutorial for this card later this week, so be sure to come back and visit me again! In the meantime, continue on the blog tour to check out Dannie Graves at Dannie's Designs and her Control Freaks Convention swaps. Dannie and I were on the same wavelength with card layouts! LOVE the stepped-up version of the butterfly card!! Oh My Goodness Julie... What a Wonderful Card...and to see the step it up version.... FUN!!! !